A multimeter, or multitester, is a piece of equipment which is used for measuring various aspects of an electronic circuit, such as current, resistance and voltage. It is a useful tool to have and is very easy to use. Most multimeters aren’t expensive and shouldn’t set you back more than around £20. Some will be more expensive but they may have features which aren’t necessarily required. You may also be able to get one cheaper, which might be a good purchase if you are using one for the first time. 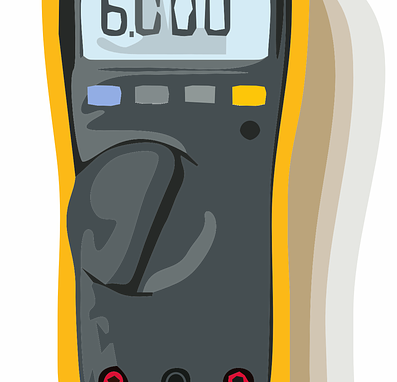 Multimeters are available in digital or analogue varieties. Digital ones will be easier to use as they will show measurement values on a digital display. Analogue will require you to take readings from a scale behind a moving needle, so they’re likely to be less accurate. Whatever multimeter you choose, it will have two test leads, one red (positive) and one black (negative). Both will have a metal probe on the end which will plug into the circuit which you want to measure. The multimeter you decide to buy will depend on what you want to test with it. Sometimes they can be used as a bench instrument, but often they will be small hand-held devices. They can be used in the diagnosis of problems affecting industrial or household devices including pieces of electronic equipment, wiring systems and appliances. What Exactly Does the Word Electronics Mean? What Can You Find on an Integrated Circuit Data Sheet?